Fall flavors have arrived, on our plates and in our espresso drinks. For the first time in four years, Starbucks has a new flavor, what could it be? 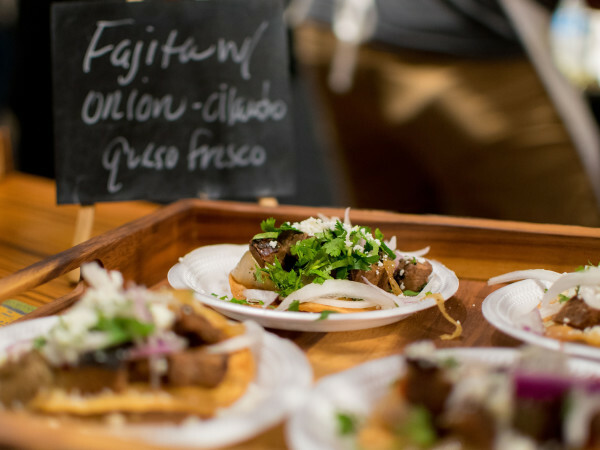 And if you think tacos are supposed to be cheap, you've got something else coming. Resident Taqueria, the coming-soon taqueria in Lake Highlands, has an opening date to roll out its chef-driven tacos: October 8. Owners Andrew and Amy Savoie live in the neighborhood. 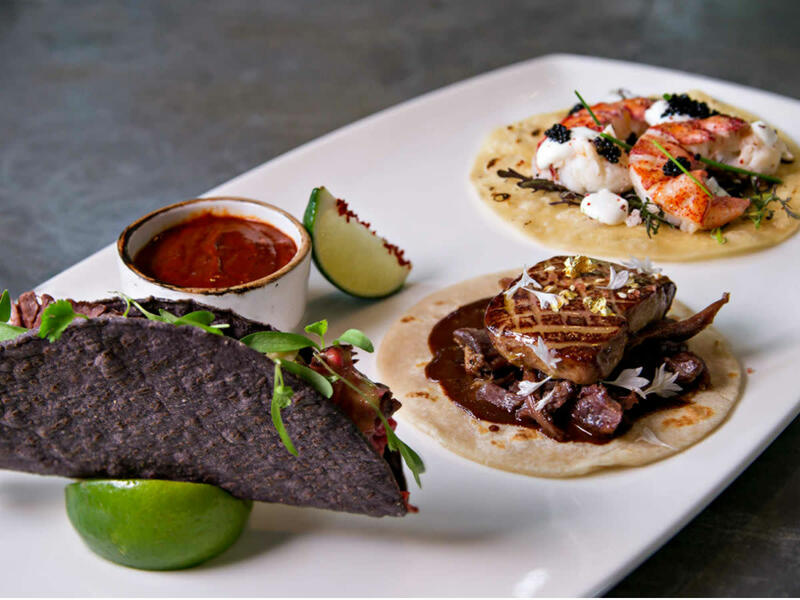 Andrew, a culinary instructor at the Art Institute of Dallas for the past nine years, who has worked at restaurants such as Jean Georges in New York, takes a chef's perspective toward tacos while drawing inspiration from Mexican cuisine. Pollo Tropical, the fast-casual chain with citrus-marinated grilled chicken, will open its first location in Dallas proper on October 2. The location is at 4622 Greenville Ave., just south of University Boulevard. The restaurant will feature indoor and outdoor seating for more than 90 guests, with limited table service and a convenient drive-thru. Pollo Tropical is owned by Fiesta Restaurant Group, and is a sibling to Taco Cabana and Cabana Grill. Fuel City has opened its travel center in Mesquite, at the southwest corner of Town East Boulevard and Hwy 80. Dubbed "The Ranch in Mesquite," at 17 acres, it's more than twice the size of the original Dallas location. It's open 24/7 with the same legendary tacos, sub sandwiches, elotes, Original Fried Pie Shop, bathrooms, 24 gas pumps, beer, and iced tea. There's indoor seating as well as a wrap-around outdoor patio. Expect to soon see longhorns, donkeys, and deer as well as karaoke from 3-8pm on Fridays and Saturdays. Pie Five opened its 17th location in North Texas in Euless, at 2921 SH 121 in the Glade Parks shopping center. There's a name for chef John Tesar's long-awaited Italian restaurant and a timetable, too. 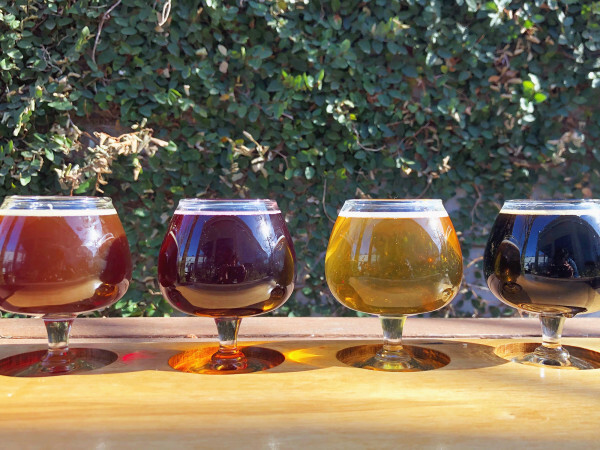 It's called Gravy 51º — with an infernal degree sign — and it'll open spring 2016. A release describes it as an "authentic Italian concept" opening in Turtle Creek. Tesar is partnering with Apheleia, which owns Oak, Pakpao, and El Bolero, as well as not-yet-open Quill Lounge, opening in November, and Royale Magnificent Burgers which they say will open in early 2016. Also in on this Gravy deal is Alex Urrunaga and Royce Ring of Plan B. That's a lot of owners. 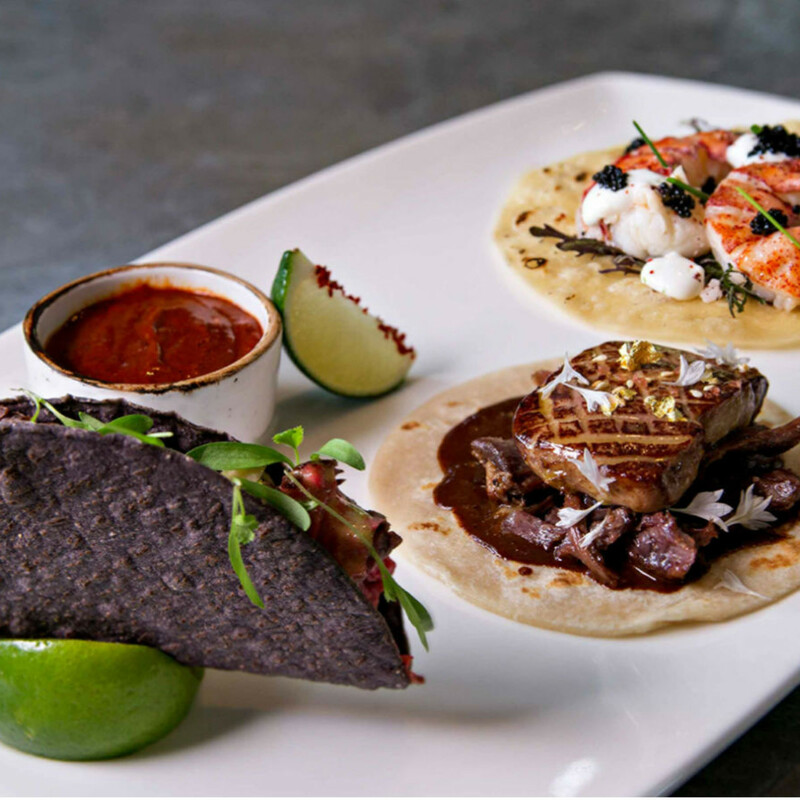 San Salvaje, Stephan Pyles' Latin restaurant in the Arts District, is now open for weekday lunch only, from 11 am to 2 pm. No more dinner and no more weekends. 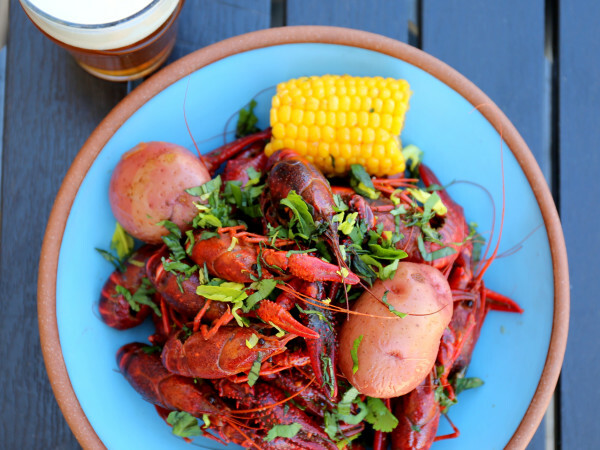 A spokesperson told Eater that the restaurant will be open in the evenings for private events only. Starbucks introduces its first new autumn espresso beverage in four years: Toasted Graham Latte. The new drink has espresso, steamed milk, flavors of graham and sweet cream, and cinnamon graham crumbles. According to a release, Starbucks beverage R&D manager Yoke Wong found her inspiration in the "cereal milk" trend popularized by Momofuku and a flavor served in Italian gelato shops called Fior di Latte, or the "flower of milk." Hey Yoke, we have that at Paciugo, too, you know. 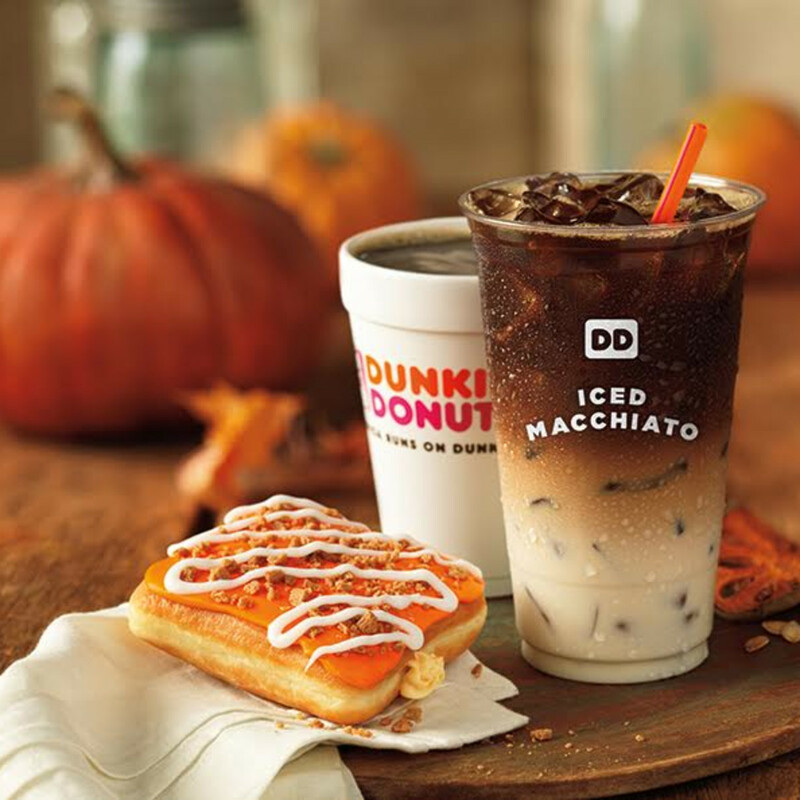 Dunkin’ Donuts has its new espresso beverage, too, and this one's pumpkin. Available hot or iced, DD's new Pumpkin Macchiato is a layered espresso beverage made with steamed milk and pumpkin-flavored swirl, topped with a double shot of espresso. 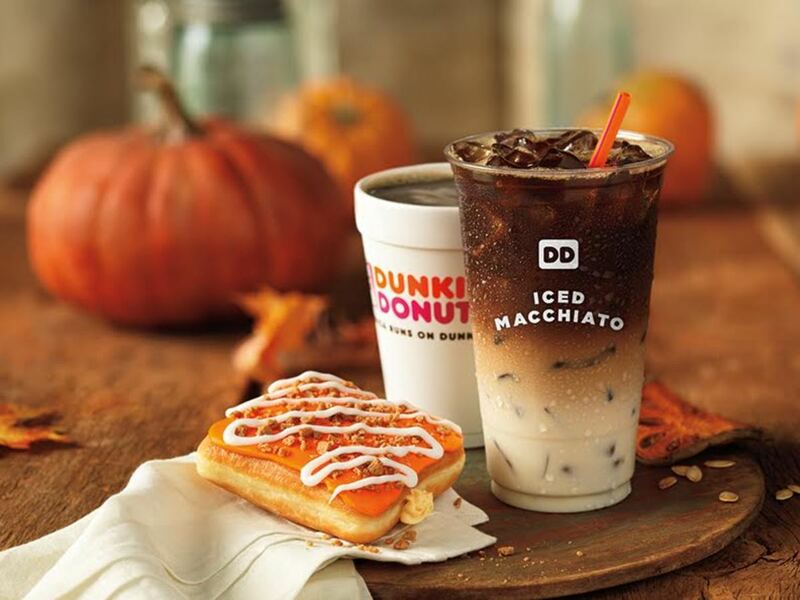 Dunkin will also add regular un-pumpkin-flavored macchiatos to its permanent menu, which can be customized with any of their sweetened coffee flavor swirls. CBD Provisions has new seasonal fried hand pies, as its own State Fair of Texas homage. Pastry chef Ruben Torano fills his flaky pie dough with rotating flavors such as pecan pudding, sweet potato and marshmallow, pear honey, and Texas blackberry. PS 214 has added some hearty, fall-season items to their menu, including shepherd’s pie (for lunch only) with short ribs, roasted vegetables, and caramelized onions, under a cheesy mashed potato crust; wings with buffalo sauce and bleu cheese; and a Frito pie pizza with chili, provolone, pickled jalapeños, cheese sauce, and Fritos. Olivella's has unrolled new menu items including burrata salad with arugula, Roma tomatoes, grape tomatoes, pesto, and balsamic; an entrée-size Italian chef's salad with mixed greens, salami, soppressata, house-made mozzarella, provolone, grape tomatoes, egg, and cucumber; and risotto cake, which is cooked risotto blended with cheese and served as a cake. Olivella's is also adding two different piadinas, Neapolitan wrap sandwiches, with prosciutto and mozzarella, and with mozzarella, avocado, mixed greens, asparagus, and tomatoes. Whataburger has a new Buffalo ranch chicken strip sandwich, available for a limited time. The sandwich has chicken strips, Monterey Jack cheese, ranch, and buffalo sauce on a toasted five-inch bun. 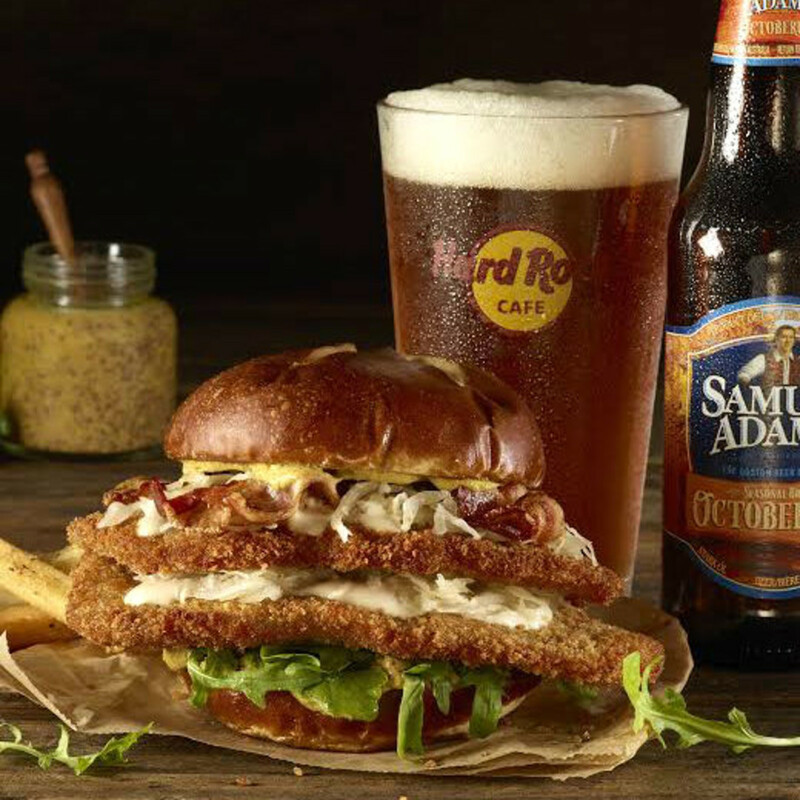 Hard Rock Cafe has a limited-edition burger inspired by one from its cafe in Germany. 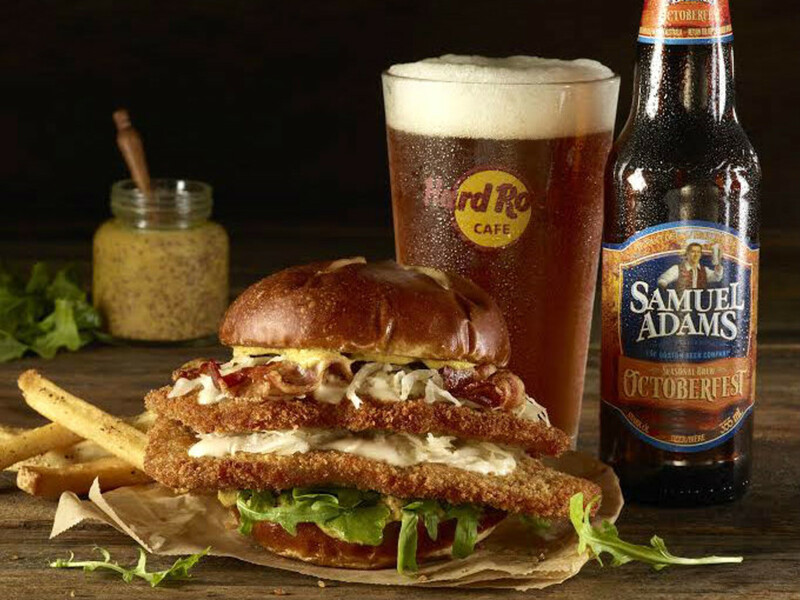 The Samuel Adams OctoberFest schnitzel burger features a breaded pork schnitzel, beer cheese sauce, bacon, sauerkraut, mustard, and arugula on a pretzel bun. Get the schnitzel burger with Samuel Adams OctoberFest beer, seasoned fries, and a side of Samuel Adams OctoberFest-infused beer cheese, through October 31. Hail Merry has a new Texas-inspired flavor for the holiday season: The chocolate chile pecan mini miracle tart contains chile spice, pecans, coconut ganache, maple syrup, and cocoa. Hail Merry is the Dallas-based company with non-GMO, gluten-free, vegan, and kosher dessert snacks. Cantina Laredo has two new margaritas with Hatch chiles, available through November: a citrus-Hatch margarita with Hatch-infused tequila, grapefruit, lime juice, and agave nectar; and a strawberry-Hatch margarita with Hatch-infused tequila, strawberries, lime juice, agave nectar, and orange. Both are $12. Pizza Hut has a crazy new pizza called the Twisted Crust, with a tearable, dippable breadstick crust, served with dipping sauces such as marinara, ranch, or cheddar cheese, and one topping. Their company spokesman, whose actual name is Jared Drinkwater, says that Pizza Hut has a loyal group of breadstick lovers who also want pizza. The margarita has Don Julio 1942 tequila, Cointreau, fresh squeezed lime juice, and agave nectar garnished with an edible gold leaf. The $100 taco and margarita "special" is a charitable endeavor and will be available through October 31.